"Made with LACTAID® Cottage Cheese. The only thing missing is the lactose!" Combine cottage cheese and ranch mix in a bowl. Add spinach, artichoke hearts, and almonds. Mix well. Serve chilled with assorted vegetables such as carrot and celery sticks. 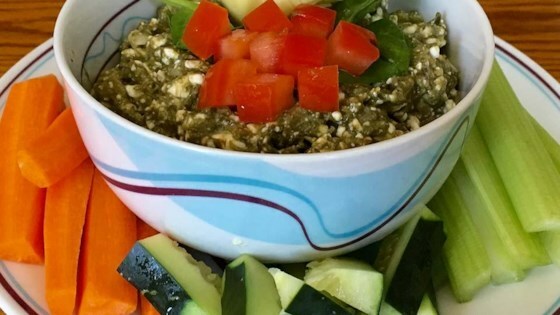 This hot dip is loaded with spinach, artichokes, and plenty of gooey cheese!